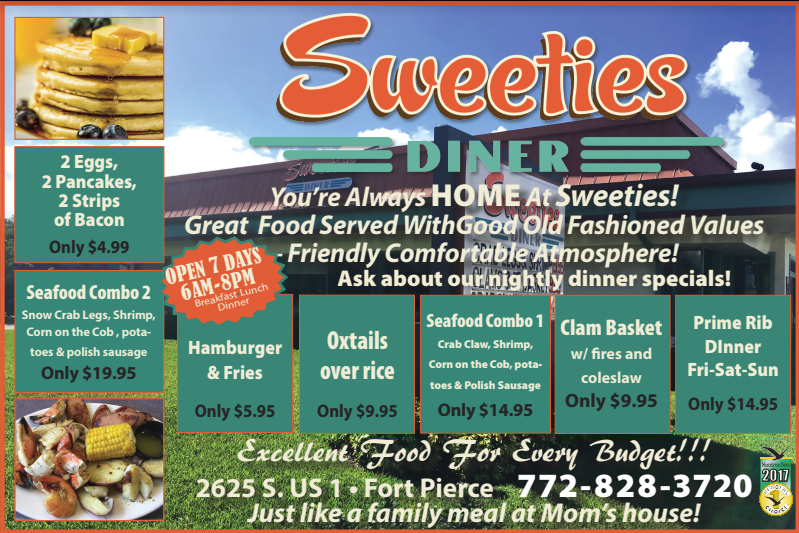 Here at Sweeties, we offer everything you crave and more. Hearty made-from-scratch home style food. All of this is served by our friendly and attentive Sweeties staff. Our entire menu is prepared in-house and to order, and endowed in generous portions to satisfy the healthiest appetites. At SWEETIES DINER, we serve Great Food with Good Old Fashioned Values. Combine our great food with our Friendly Comfortable Atmosphere for an eating experience like no other. We Love KIDS! Let your little ones munch away on our AWESOME FOOD! Specially made by the SWEETIES DINER culinary team, our meals will delight any picky little eater.